By David Ponce on 10/21/11 • Leave a comment! Indilin Everest control will feature a 512MB DRAM cache, with the SATA 3.0 featuring read speeds of 560MB/s and write speeds of 400MB/s, and the SATA 2.0 with read and write speeds of 275MB/s and 265MB/s respectively. Of course whenever you’re talking about a product that’s pushing the envelope, it’ll also be pushing the wallet. Although no official price has been released for this drive, you can expect it to be somewhere around $1.20 per GB. By Chris Scott Barr on 08/12/09 • Leave a comment! When you think about upgrading your computer, the first things that usually come to mind are the processor, memory, and if you’re a gamer, the graphics card. In the days where you only had spinning hard drives to consider, you didn’t really gain much from upgrading to a new one, except more storage. Sure, a few extra MB of cache didn’t hurt, but it really didn’t make a huge difference. With solid-state drives becoming increasingly popular, we thought we’d take a look and see just how much you would benefit from upgrading to one. 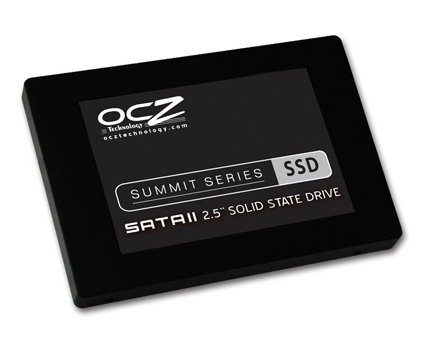 OCZ was kind enough to send us one of their new Summit series drives to test out. Specifically, the 64GB version. Yes, 64GB doesn’t seem like very much storage, especially when we’re already hearing whispers of 2.5TB hard drives. Then again, I stream my music and videos from a network drive, so aside from a few games and applications, I don’t need tons of space. I might feel more comfortable with a 128GB or 256GB one, which is why they have those options available. Hit the jump for my full review. By Chris Scott Barr on 08/04/09 • Leave a comment! When it comes to solid state drives, there are two main complaints. One being that they are still limited in size, and the other being the high prices. Thankfully as time goes on, we’re seeing bigger drives and lower prices. 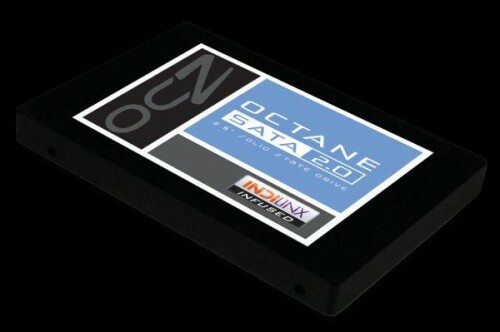 OCZ is definitely doing its part to keep things moving, as they’ve officially announced the first 1TB SSD. That’s right, we’ve finally broken the terabyte barrier with SSD drives. The increase in storage space calls for a larger physical drive, which won’t likely upset too many people. The new drive uses the 3.5-inch format, which is rather convenient. Most SSD’s these days are 2.5-inch, and thus don’t fit into desktop PC’s without an extra bit of work, or some type of converter. So how much is this monster of an SSD going to set you back? Just a small fee of $2,500 is all it takes when the Colossus hit’s store later this month. If you’re too much of a cheapskate to throw down that much cash, then there will also be a 500GB Colossus drive for a lower (and currently undisclosed) price. By Chris Scott Barr on 06/22/09 • Leave a comment! When it comes to gaming hardware the first things to pop into mind are generally the CPU/RAM and video card. 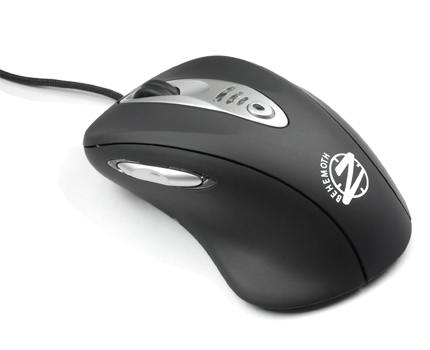 It wasn’t until I set aside the trusty wireless mouse that came with my old Logitech keyboard to review the OCZ Behemoth Laser Gaming Mouse that I realized just how much this device plays into the gaming experience. Right out of the box my first impression was that it appears rather bulky, I say appears because once it was plugged in and in my hand it felt very comfortable. The extra width comes from the erganomic design which provides a comfortable rest for the ring and pinky fingers. This had a impact during a long gaming session with the new Ghostbuster’s game. One requirement in the game is to target and wear down ghosts which on harder difficulty settings can take a considerable amount of time. The lack of fatigue in my hand afterwards was noticeable. By Chris Scott Barr on 04/09/09 • Leave a comment! When it comes to laptops, there are only two things that you can really do to upgrade your hardware. That would be adding RAM and swapping out your hard drive. With the latest round of MacBook Pros, there have been some issues finding compatible RAM that isn’t direct from Apple (which is always on the expensive side). Luckily OCZ has your back on both RAM and a new hard drive for your Mac. This week OCZ announced two new lines of RAM, and a new SSD specifically aimed at Mac users. First their “Qualified for Mac” RAM comes in DDR2 and DDR3 flavors. The DDR2 is 667MHZ PC2-5400 with a CL of 5-5-5-15. These can be found in single 2GB sticks either alone, or packaged in a pair. As for the DDR3 sticks, these are 8500 MHZ PC3-1066 with a CL of 7-7-7-20. They can also be found in single 2GB sticks, or in pairs. 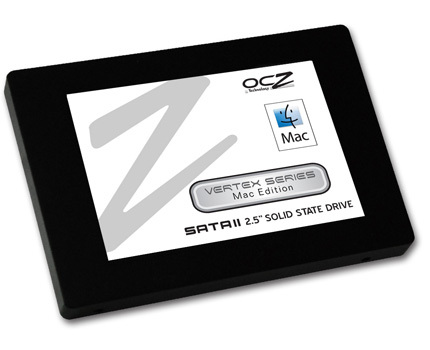 OCZ also announced their new Vertex Seris Mac Edition SATA II 2.5-inch SSD. The drives boast sequential read/write speeds of 240MB/s and 170MB/s respectively, and 64MB of onboard cache. Not only will these boost the speed of your activities, but increase your battery life as well. The new Vertex SDD’s will come in 30, 60, 120 and 250GB capacities. No word on pricing or availability of these newly announced products. By Shane McGlaun on 07/18/08 • Leave a comment! 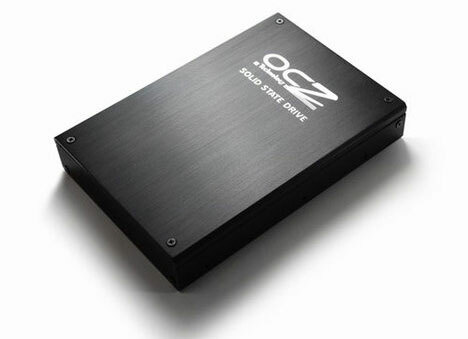 Back at the start of July OCZ unveiled its Core series of SSDs that addressed one of the largest complaints about SSD drives—the price. While the Core Series SSDs are still more expensive than traditional HDDs of much higher capacity, the Core SSDs are downright cheap compared to other SSDs. 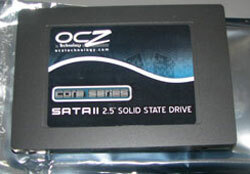 The first benchmarks for the Core Series 64GB SSD from OCZ have surfaced over at Laptop Magazine. Laptop put the SSD through some synthetic tests and the Core series did well in most tests against much more expensive SSDs and traditional HDDs.